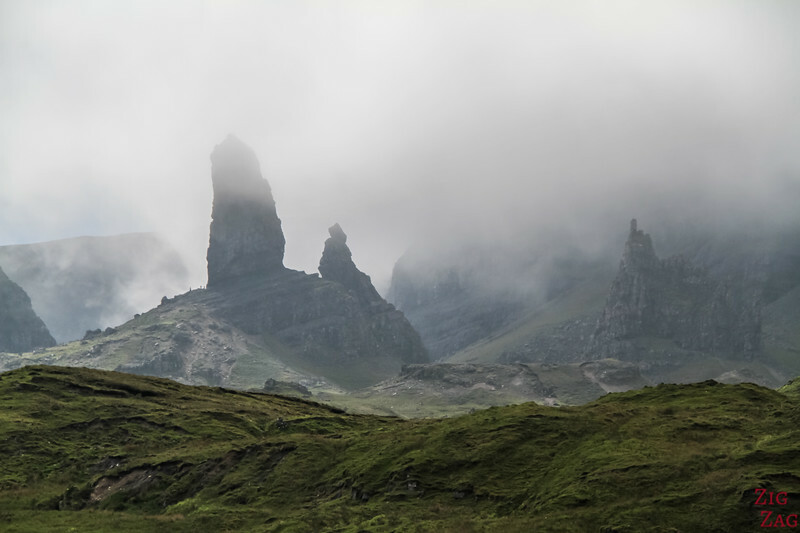 Icon of the island, the Old Man of Storr Skye is a pinnacle standing on a steep rocky hill on the East side of the isle of Skye. 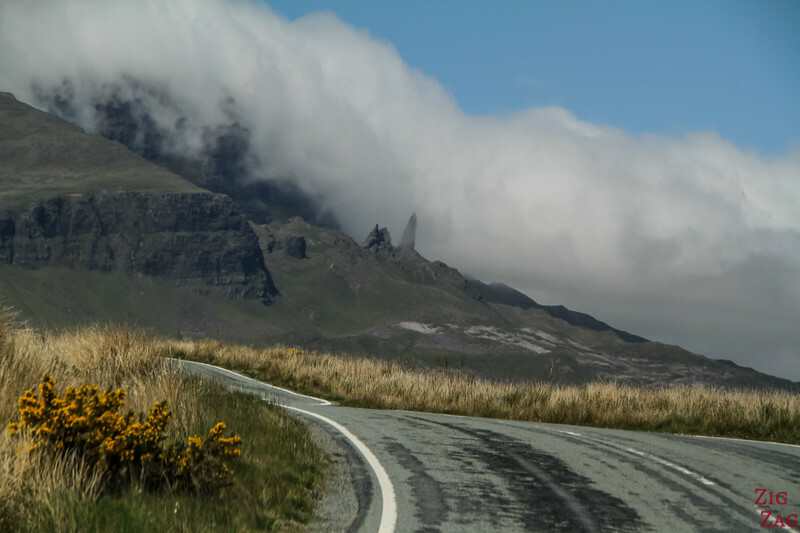 It is home to the Old Man of Storr walk, one of the most famous on the island but you can also simply admire it from the road. Below is my guide to help you plan your visit and walk to the Old man of Storr and give you an idea of the best spots to photograph it. 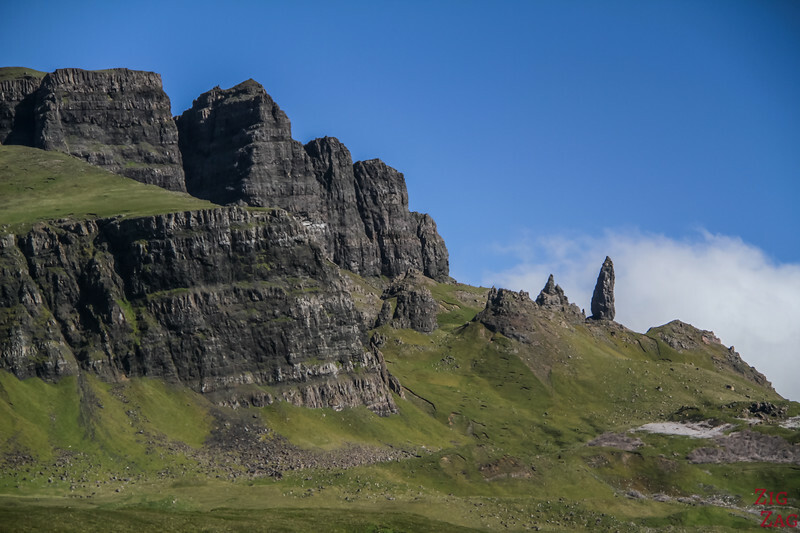 The Storr section of the Trotternish ridge reaches 719m (2359ft). 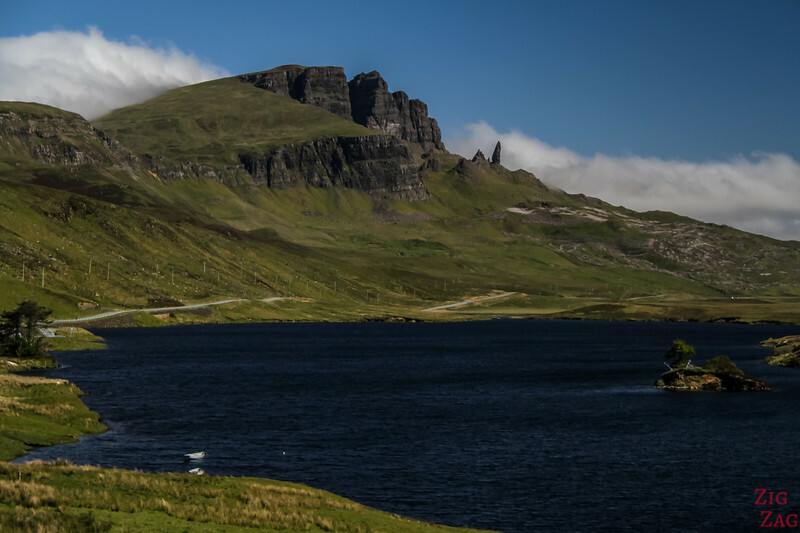 Its most iconic feature is the Old Man of Storr, a tall pinnacle overlooking the East of the island and standing like a protector. Old man of Storr height - 48m (160feet) - According to the information at the beginning of the walk, its height is "the same as eleven double decker buses stacked on each other!" The carpark for the Old Man of Storr walk is 15 min North of Portree on A855, after driving past 2 small lochs (Loch Fada and Loch Leathan). 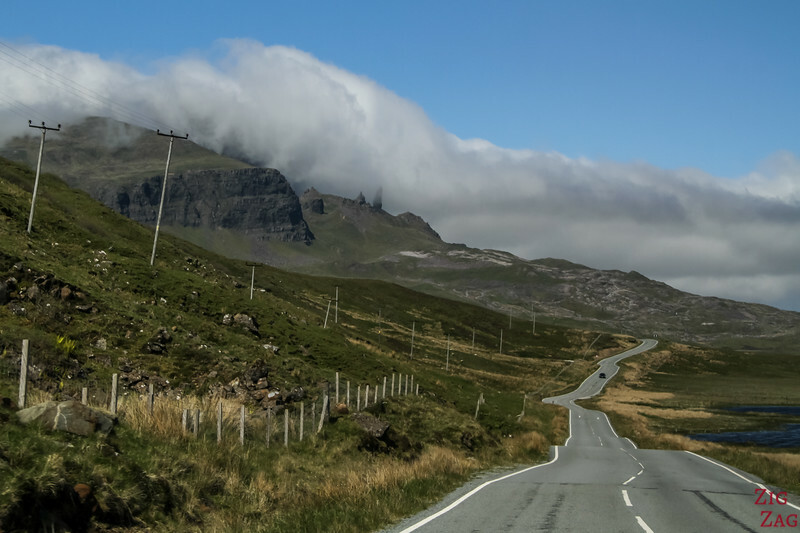 However the pinnacle, if not in the clouds, can be seen a long time before from road A87 to Portree and past the parking from A855. Actually the view from the carpark is the worst one. 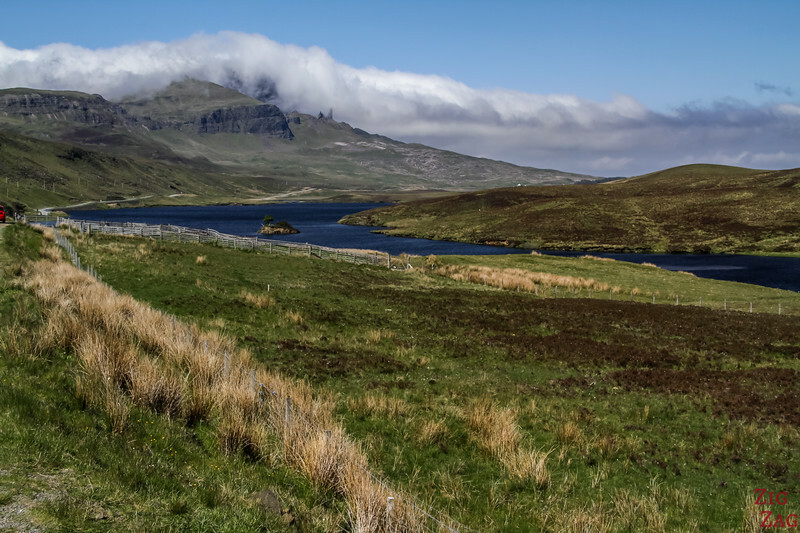 As you will see below, the view from Loch Fada is one of the best, as well as the view from the North. No facilities at the parking. It is small and you have to park along the road when it gets full. 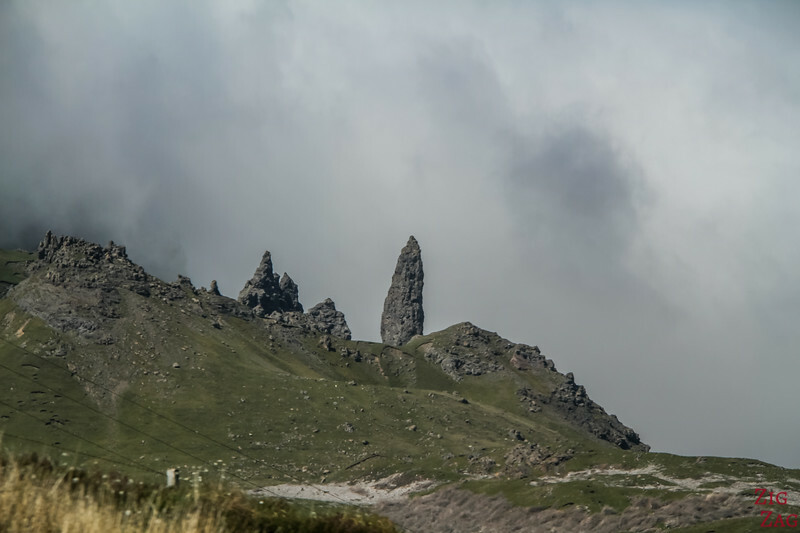 The Old man of Storr walk is very popular (see below in the article for more information). You need good footwear to explore at the top of the walk. When the fog is thick, it might not be worth doing the walk. But the weather can change quickly. 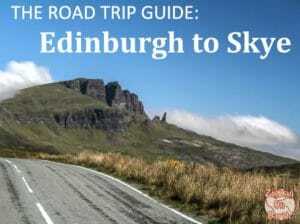 You can find out more things to do on the Isle of Skye on my guide with many photos. 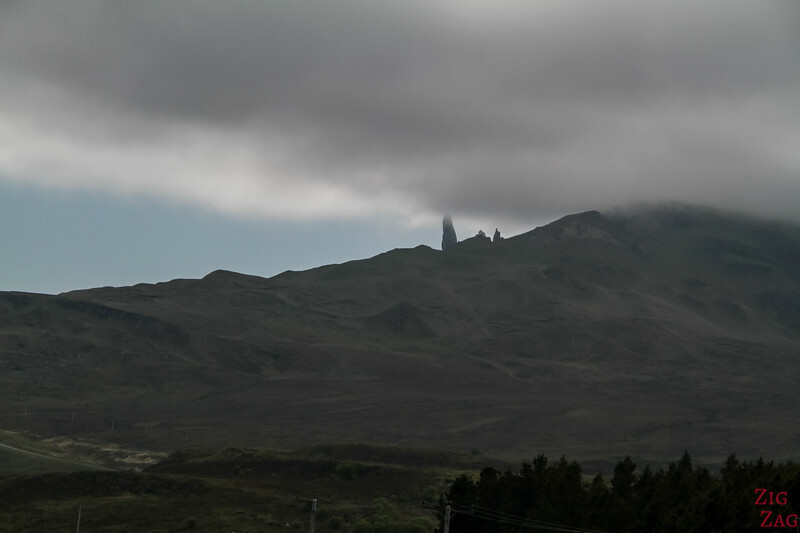 If the clouds are not covering it, the Old Man of Storr Skye can be seen from far away. 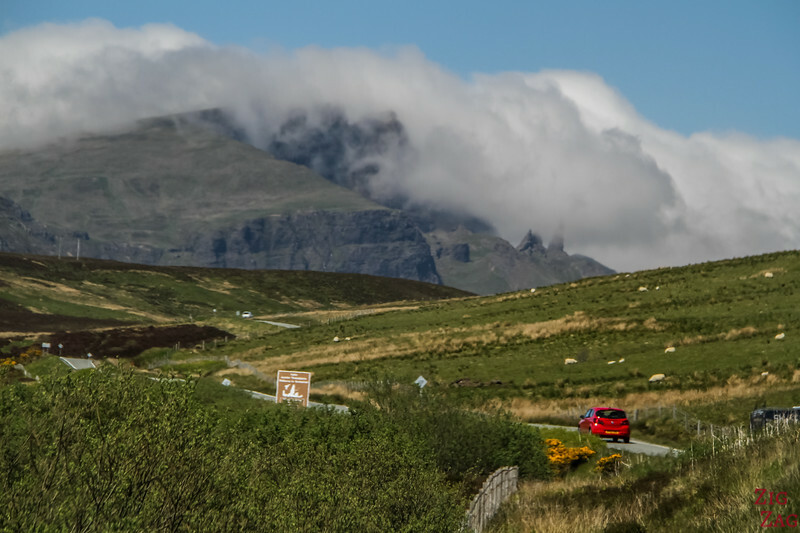 As you are driving to Portree, the ridge and pinnacle appear in front of you. You cannot miss it. 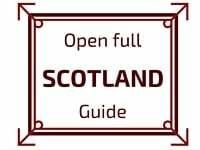 And it is easy to understand why it is one of the top things to do in Skye island. 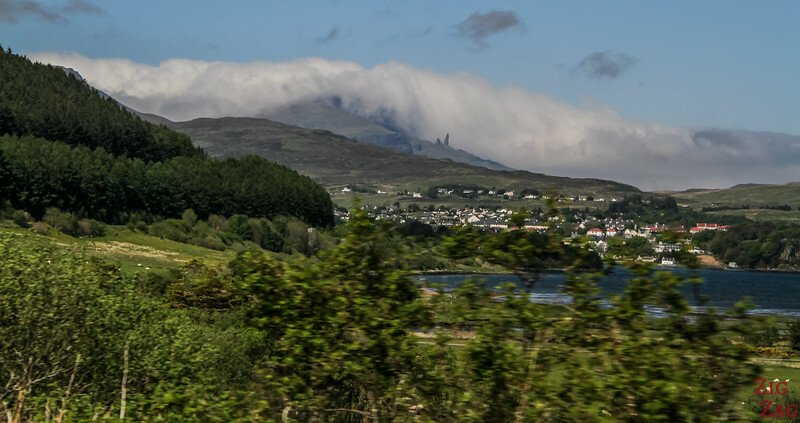 However sometimes the clouds do not collaborate and cover the icon of the Isle of Skye. Once you drive past Portree, get on A855. Up to Staffin, this is a 2 lane road, easy to drive. You can see the pinnacle getting closer. 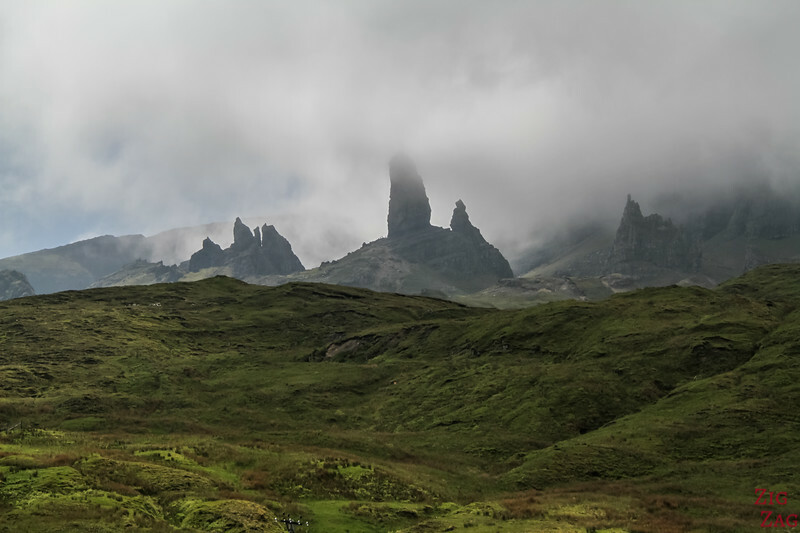 As my father noticed: "there was no book called 'Obelix on the Isle of Skye'..."
In terms of geology, the Storr mountain is 300 meter thick with around 24 layers of volcanic rock. It formed between 61 and 55 million years ago. During the ice age, glaciers ground their way downhill. For photographers, one of the best spots to shoot the Old Man of Storr is around the 2 lochs. Especially on a zero wind day, I have seen great pictures with reflections. Google says the first Loch is named Loch Fada. Near Loch Leathan (Name of the second loch according to Google), the angle to capture the Old Man of Storr Skye is great. 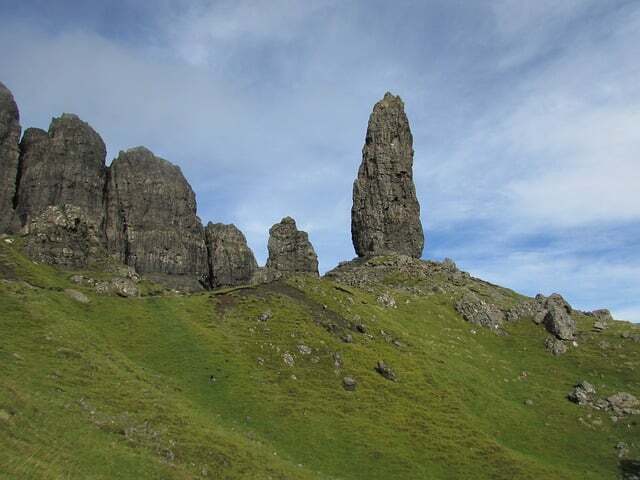 The Old Man of Storr walk is one of the most famous and busiest hikes on the isle of Skye. It starts at the official carpark (which is fast full so you will have to park along the road). You cannot miss it, you will see many cars and a gate to start the walk. 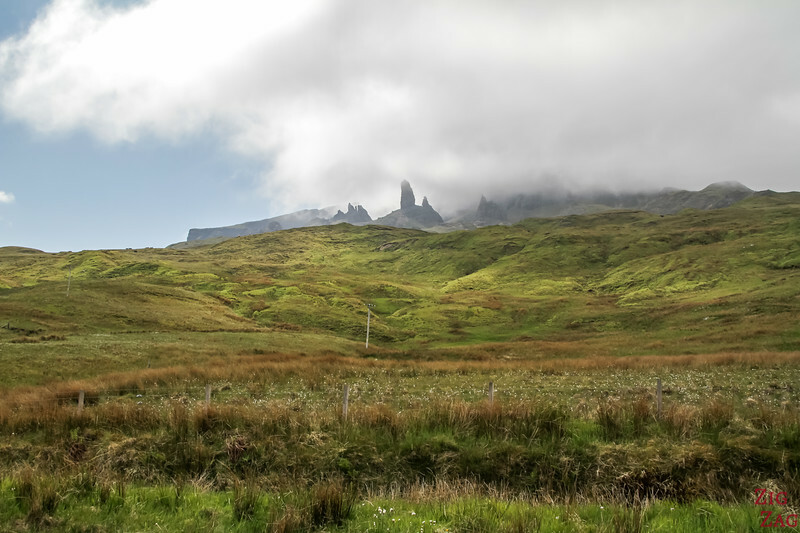 The direct path to the Old Man of Storr Skye is 1km long (0.62mi)​ with a 250m ascent (820ft). The return walk requires 1 to 2 hours. 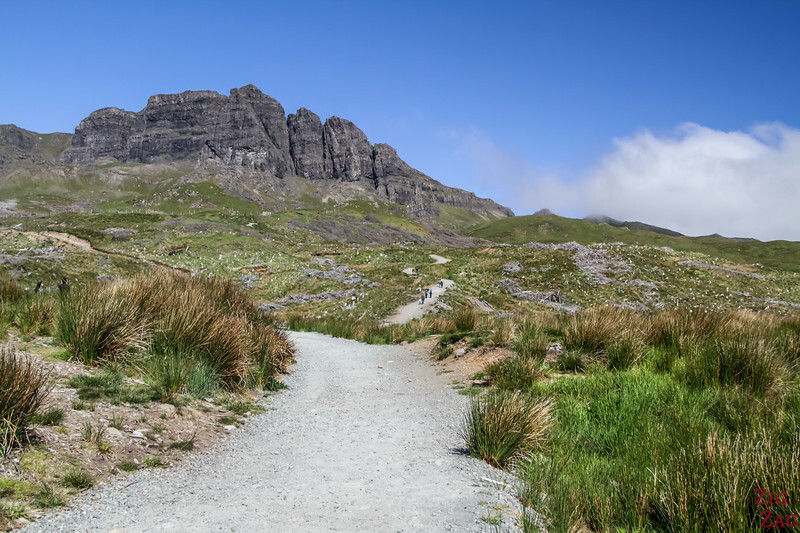 A longer hike is possible all the way to the top of the Storr mountain (see further below). For photographers, the best time to complete the hike is at sunrise. 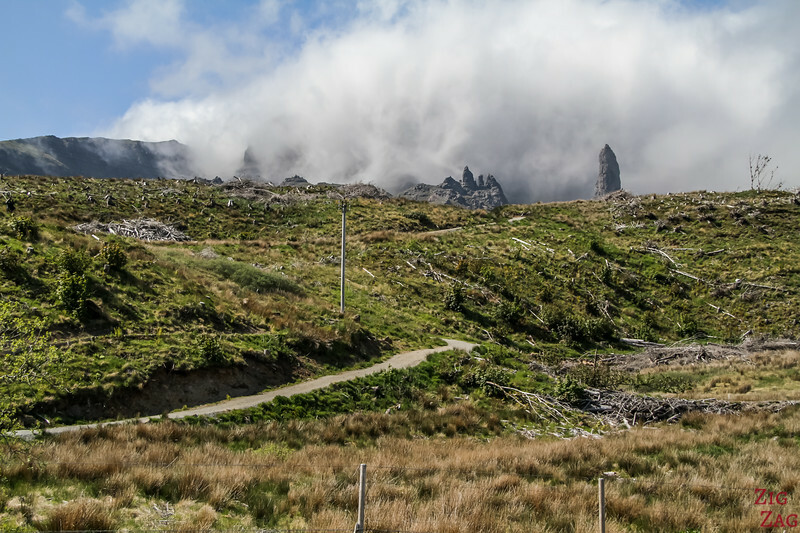 When climbing the Old Man of Storr Skye path from the parking, you actually can't see the pinnacle. The beginning is steep but regular and with good footing. There are several gates to cross along the way. Don't forget to close them! 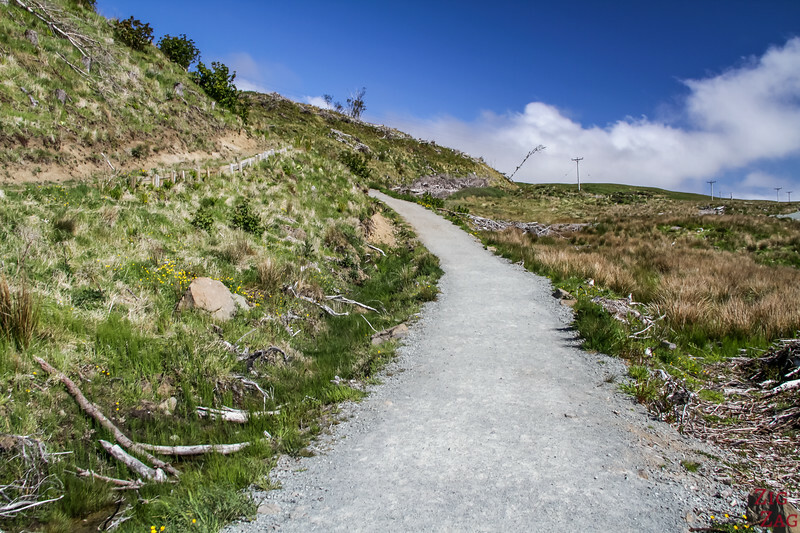 Then the path is almost straight towards the Storr. Once at the top you can perfectly see the pinnacle. Be careful, if you want to get to the foot of the Old man of Storr Skye, the area is steep and not as stable. Wear appropriate shoes. And you can continue climbing to take one of the most famous pictures on the Isle of Skye. I did not hike there, so here is a photo from Pixabay taken at sunrise. 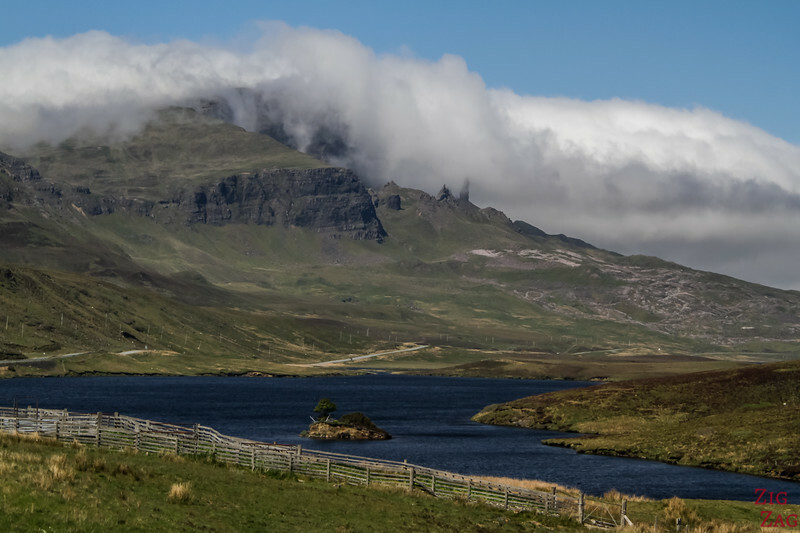 The loop to the summit of the Storr mountain is 8km (5 miles) with an ascent of 640m (2100 ft). 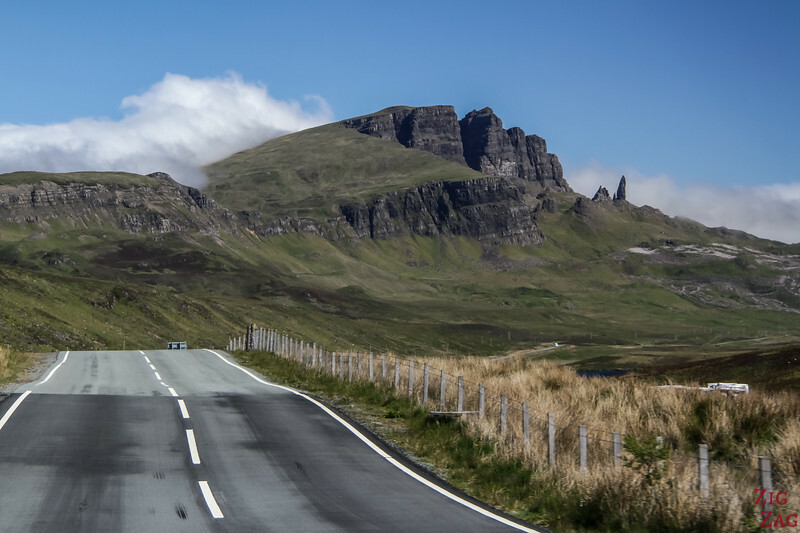 Once you drive past the parking and drive further towards Kilt Rock and Staffin, you get more views of the pinnacle (don't forget to look behind you!). On this side you see more of the other rock formations surrounding it. Those photos were taken just stopping along the road a short drive after the parking. A stop further on A855 with a small carpark and a walk to see the cliffs. When you turn around you can also spot the Old Man of Storr Skye. Do you like big strange rock formations?